Deferred Consumption: Will Utah take more Medicaid money from the Feds? An important part of the ACA was the Medicaid expansion, which, in certain states, will cover families earning up to 138% of poverty ($27,000/yr for a family of three). By way of background, Medicaid is government-funded health insurance for poor people. The definition of poor (and eligibility for the program) varies state by state, as the program is jointly funded by both state and federal governments. For example, in Utah, pre-ACA Medicaid only covered people who made less than 47% of the poverty level (which is around $9k/yr for a family of three). Like many states, and before the ACA, Utah's Medicaid only covered adults with children. Poor people without kids were out of luck. The problem is that ACA exchange subsidies only kick in above 100%, which leaves a large gap if states don't expand their Medicaid programs. 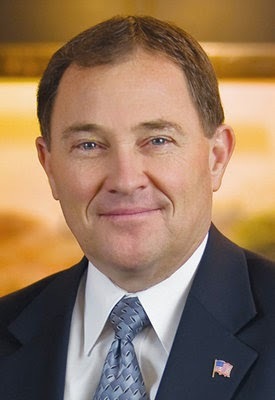 Sooo, I'm mentioning this because I ran into Governor Herbert at the grocery store last night. My wife suggested (probably wisely, as he was accompanied by a secret service agent) that I not badger him with policy questions. And here's the question of the hour: Will Gov Herbert and the Utah Legislature take the federal government's money and allow the expansion of Utah's Medicaid program to provide health insurance for 57,850 people who don't currently have it? Mind you, this is fully funded by the federal government for the first three years and 90% covered through 2020. Those who oppose expansion out of concern for the federal government deficit might want to consider the fact that people who show up in the ER without insurance are covered by the government anyway, but in the most expensive way possible. If interested, contact the man here. Postscript: Read about a potential Utah plan to take the fed's expansion money and use it to buy private company insurance policies for the poor here. While this is better than no expansion at all, it'd be worse than expanding Medicaid because the latter provides more for less money than market insurance plans.